Nothing makes you question your intelligence like being a new parent that’s handed a swaddle. Yep, Quantum Physics must be a cakewalk compared to that bewildering blanket. Problem solved, thanks to Baby Goes Here. This is the simple swaddle of your dreams, and the swaddle that’ll send your little one to Dreamland, too. Step-by-step instructions are integrated into the blanket, so you’ll always know what to do (even when it’s 3am). 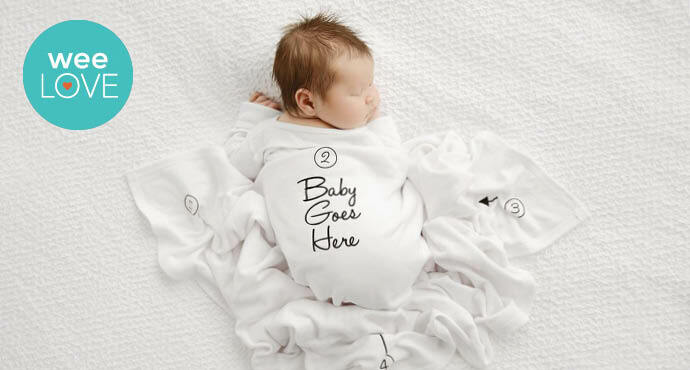 No need to be a swaddler extraordinaire, just follow the super simple directions until you’ve achieved the perfect “baby burrito.” You’ll know you’ve nailed it when the adorable design is front and center. And speaking of adorable designs, it’s almost impossible to choose between the avocado, ice cream cone, or sweet bow tie. 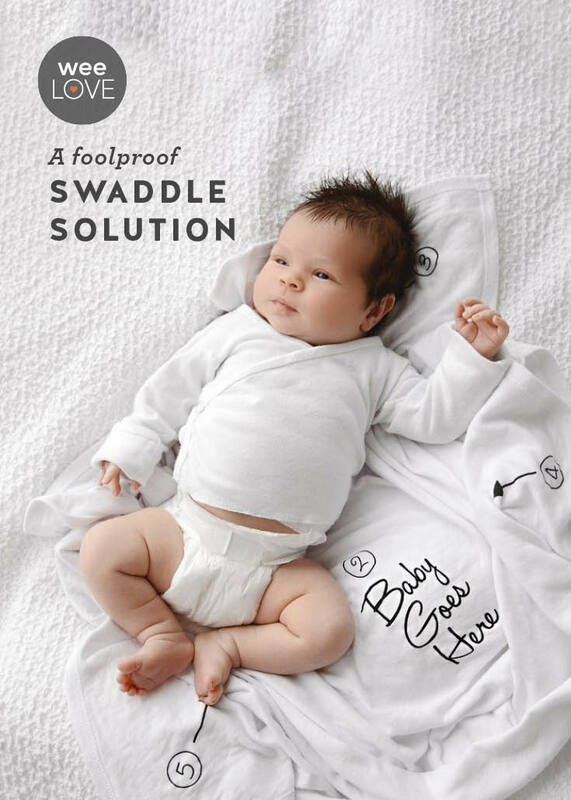 Made in the USA and created by new parents who practiced swaddling on dolls for 9 months and realized that sometimes you just need something simplified. These soft, stretchy, organic blankets are a breeze for any grown-up to master, even when you’ve been up every hour and you can barely see straight. So next time it’s swaddle time, just remember: Baby Goes Here.